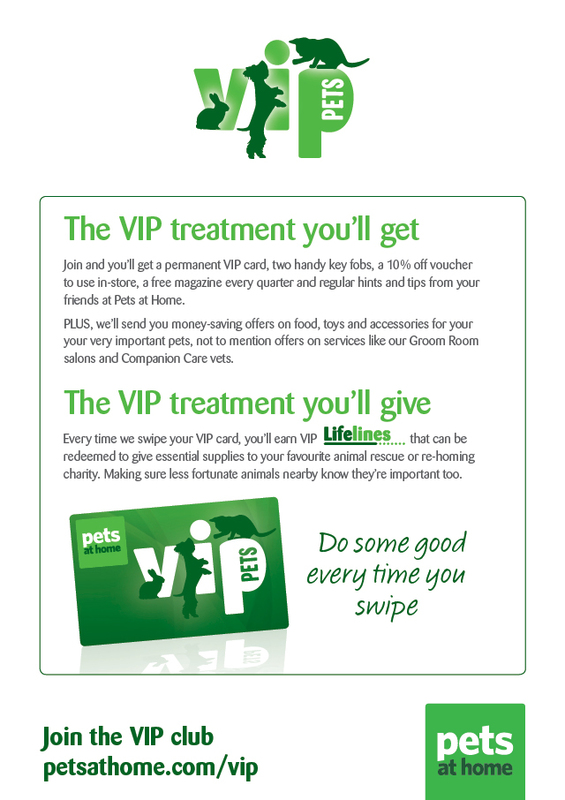 We wanted to say a big thank you to Pets at Home, Treliske for nominating us as a #VIPClub charity for their store. This means that whenever a customer of that store selects us as their charity, they’ll raise Lifelines for us, which get turned into cash and can help us buy food, bedding and anything else we need to keep the animals in our care healthy and happy. 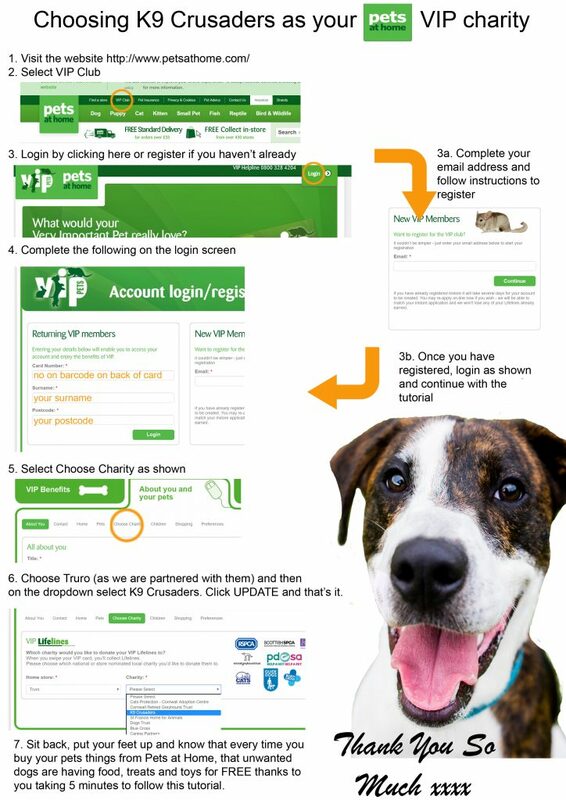 Don’t forget to select “K9 Crusaders” as your nominated charity!